When Hope Smitherman of Crafty Hope Jewelry sent out a call for designers for the fall issue of Creative Spark Magazine, I immediately answered. I so love the ZnetShows challenges.There were three categories we could try: Fall inspired designs, Jewelry in under an hour with tutorial and my favorite Up-cycled jewelry. 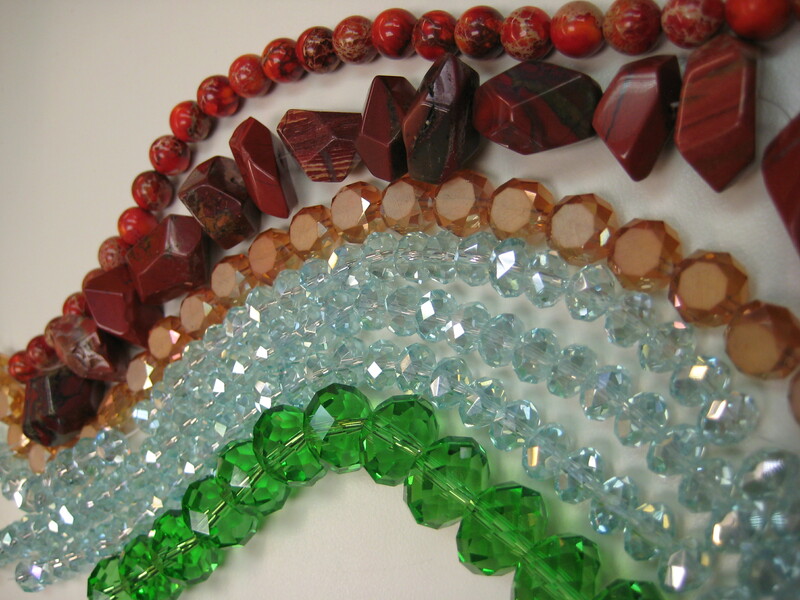 We were allowed to choose from the extensive collection of beads and crystals from Znetshows. Those of you that have been following me for a while know that I love to use natural materials in my designs. I design and sell under the name of Stones and Bones. The name says it all. My first design was an old buckle of a skull. I used the orange Aqua Terra Jasper 8mm round Beads. (BDS1879-02) & Chinese crystal Shamrock Bottle Green Faceted designer glass rondelles 14 x 10 mm Beads .(RS137-25) . 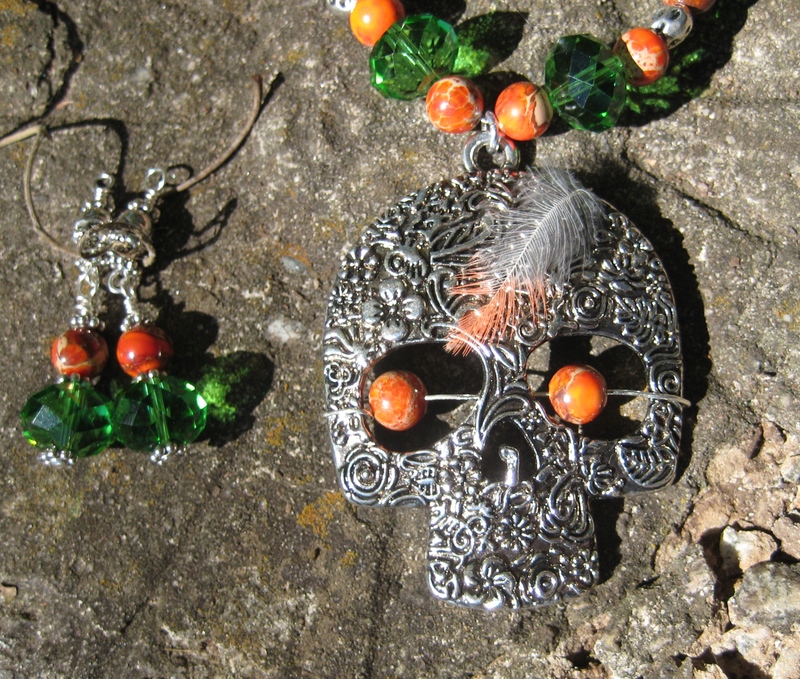 I added some silver chain, small silver skulls, silver spacers and a hand made hook for a fastener. I call this set Trick or Treat. While setting up to photograph it, a small feather blew across and landed on the skull. The perfect touch. 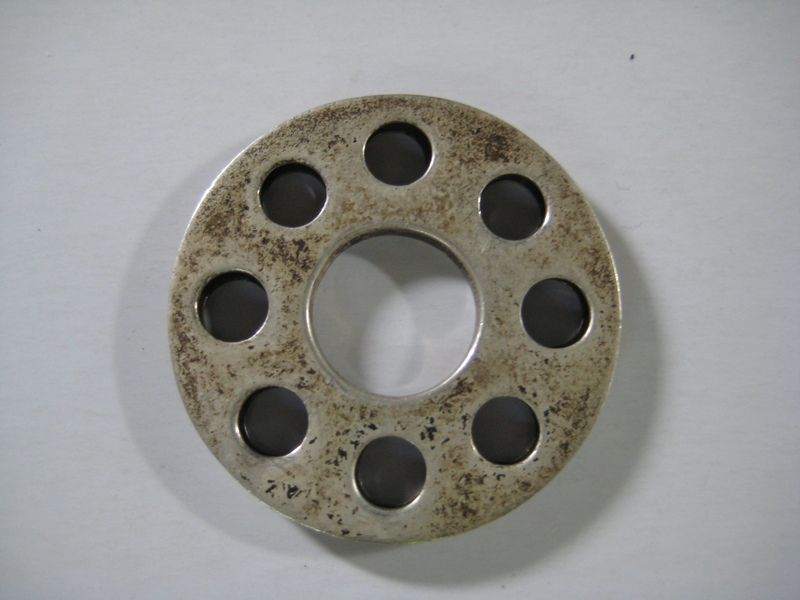 For my next up cycled item I found an old flange. I’m not sure for what it was used , but i liked it the minute I saw it. The necklace is made up of Amazonite Pebbles, Chinese crystal faceted designer glass 8×5 mm AB Turquoise Bay rondelle beads (RT101-28AB), & Chinese crystal designer glass coin 10mm Wine Red with Matte sides faceted beads (RS263-93) I added a beautiful Jasper Focal. 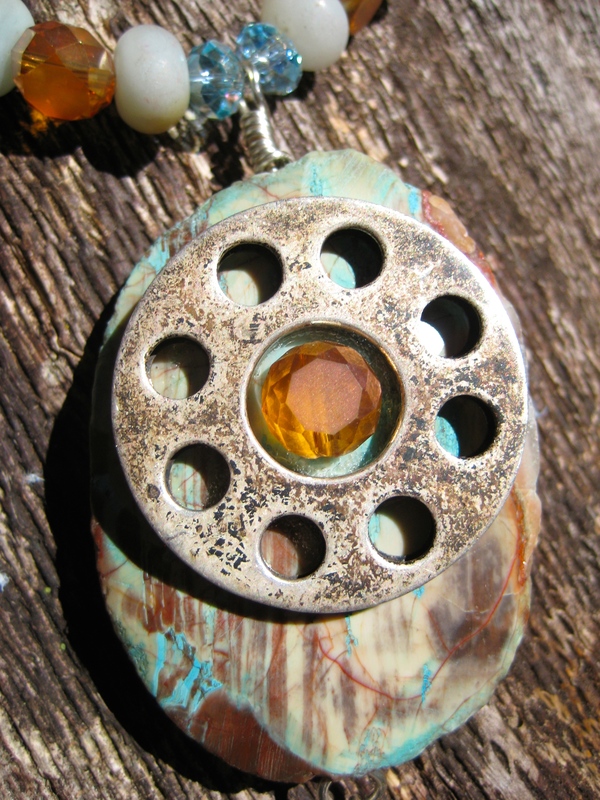 I attached the flange and one of the “wine red” crystals as well as a lovely lemon quartz crystal to the Jasper. I finished it with a hand made hook. It has such an earthy feel that I named it Denim and Dirt. 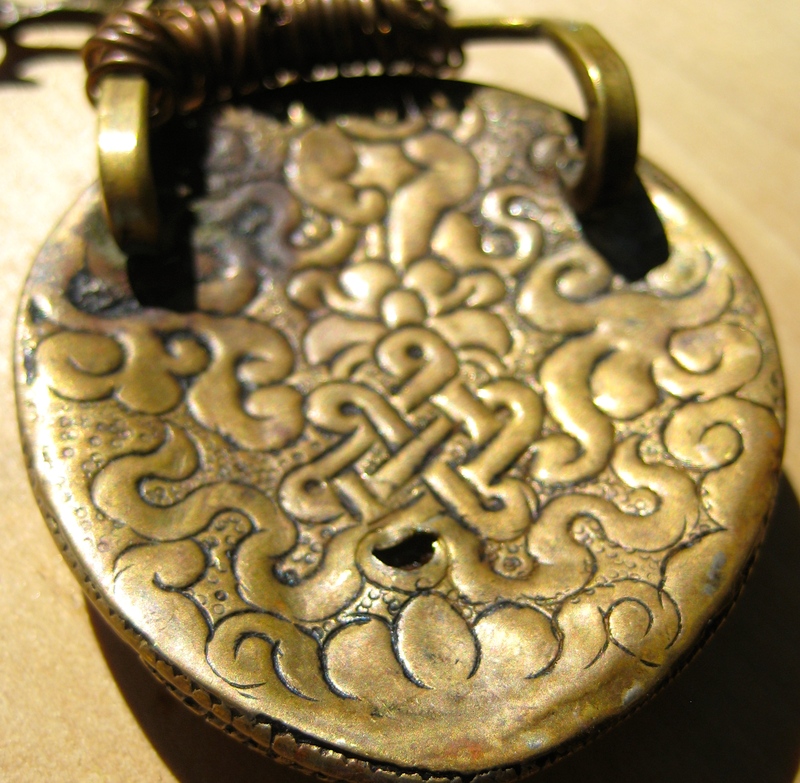 I found an old Tibetan Buckle. The design on it is the symbol for “all of humanity”. I had to make something using this piece. To have it hang correctly I needed to add a few jump rings and chain. 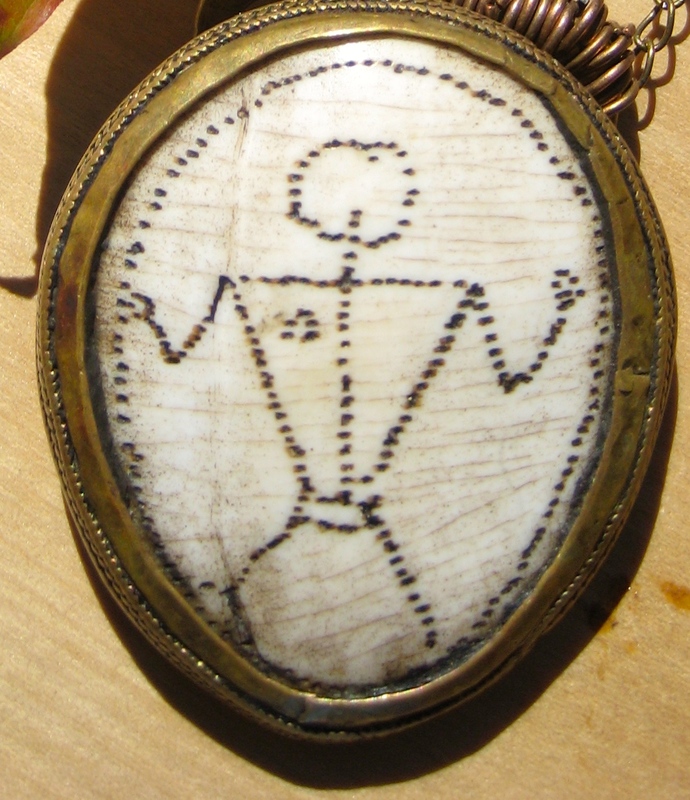 I attached this to a Deer Skull pendant. It was coming together nicely. 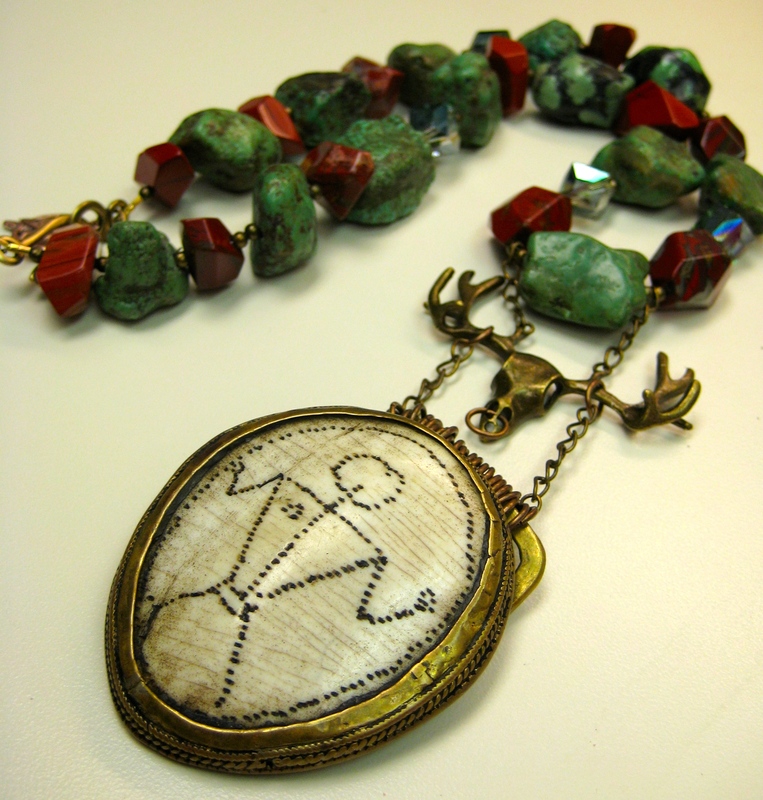 I used red jasper nugget faceted beads (BDS1841-03) and added some beautiful green turquoise. I still needed something else so I dug into my stash and found something that I had left over from another ZNetShow challenge. I found a few Chinese crystal designer glass hexagon 16x15mm faceted beads. ( RS179-70L) They finished the necklace nicely. A nice bronze hook for a clasp and all that was left was to give my piece a name. I decided to go with Humanity. I hope you like the designs I created for you and Happy Harvest !! Please take the time to check out all the other designers in the Fall issue. I know you will enjoy it !!! This entry was posted in My Creations, ZNETSHOWS. Bookmark the permalink.